The following blog post is sponsored by Massage Envy. What makes your brand’s workplace unique? Why work for Massage Envy? Each Massage Envy franchised location is independently owned and operated, so each offers a culture all its own. But they all have one thing in common. They all provide an environment where massage therapists never have to spend more time trying to fill their schedule and balance their books than they do in the treatment room. With consistent clientele, all the supplies they need, and freedom from the marketing and administrative work that comes with running a business, therapists can focus on doing what made them fall in love with the profession in the first place: transforming lives through the power of massage. And they get to do what they love surrounded by a team who recognizes the amazing work they do, who understand and want to help them manage the physical demands of the work they do, and who genuinely want to see them succeed. How much can I expect to earn? What kind of benefits does Massage Envy offer? Pay varies from one franchised location to another, but at virtually every franchised location, massage therapists can book as many hours as they want so they can do what they love full time. It can be hard to find a place that offers the ability to be a full-time massage therapist and not a part-time therapist/part-time something else, and when massage therapy is your true calling, that’s huge. In addition to creating the opportunity to make a living doing what they love, we’ve worked to introduce some unique benefits to help them do it for longer. Back in 2017, Massage Envy rolled out the Self-Care Commitment, a first-of-its-kind program that put self-care front and center in Massage Envy franchised locations. This program not only created the benefit of free continuing education for therapists on body mechanics and injury prevention, but also educated franchisees and management teams on the physical demands of the job to help them serve as allies to therapists experiencing early signs of injury and to create cultures where self-care is a priority for everyone. But we recognize the work of massage therapists can be as emotional as it is physical. We knew that meaningful focus on self-care could start with addressing therapists’ physical needs, but it couldn’t stop there. We’ve just announced a brand-new benefit that gives employees of any Massage Envy franchised location and their families access to free confidential counseling sessions and other mental health resources to help navigate life’s ups and downs. We believe mental wellness is every bit as important as physical wellness and Massage Envy franchisees are incredibly excited to have a new tool for supporting their employees’ self-care. Are there professional development opportunities within the Massage Envy brand? All Massage Envy therapists have access to 12+ hours of continuing education every year at absolutely no cost to them, many of which of have been custom developed to directly support the work massage therapists do every day. This free continuing education is a great resource to not only expand modalities and deepen knowledge, but also to help therapists practice their craft more safely and consistently. But in addition to helping therapists build and develop their massage skills, we’re also developing brand-new tools that give them more ways to help and heal their clients. A little over a year ago, we introduced Total Body Stretch, and many therapists seized on this new service as a way to build variety into their areas of practice in a way that can be less strenuous on their bodies. More recently, we rolled out CyMe™ Boosts, a series of highly concentrated serums that are formulated to work with Massage Envy’s own mediums—designed in partnership with therapists—to give any massage a boost of skin-nourishing benefits. Therapists are recognizing this as a whole new way to customize massage that they can’t find anywhere else. And the latest innovation is Rapid Tension Relief, which allows therapists to integrate a cordless, state-of-the-art percussion device into any massage session to deliver deep-tissue benefits to clients without the deep-tissue demand on their hands. We recognize that every massage therapist is both an artist and a healer. We’re constantly working on creative and innovative ways to empower therapists to combine their professional skills and artistry to grow their skills, deepen their craft, and help clients in brand new ways. What professional recognition opportunities do you provide to your employees? We’ve seen some amazing and unique ways that Massage Envy franchisees recognize all the incredible massage therapists in their franchised locations. But the truth is, there is no Massage Envy without massage therapists, and we believe that massage therapists should be recognized not just locally, but nationally. We just wrapped up our Annual Franchise Conference in April, where over 100 massage therapists and estheticians from various Massage Envy franchised locations across the country were recognized as regional Therapists and Estheticians of the Year. These incredible healers are treated to a round trip to conference; multiple days of engaging, customized, and hands-on professional education and development; recognition on stage at our annual awards night; some pretty amazing gifts from our industry partners; and a full day of fun at Disney since we hosted the conference in Orlando this year. There’s no way we can ever thank them enough for everything they do to take care of their clients and to make the Massage Envy brand what it is, but it’s one way we can make our gratitude visible. How does Massage Envy give back to the community? Massage Envy franchised locations all over the country work with local charities and community partners in a wide variety of ways, from hosting donation drives to donating services. 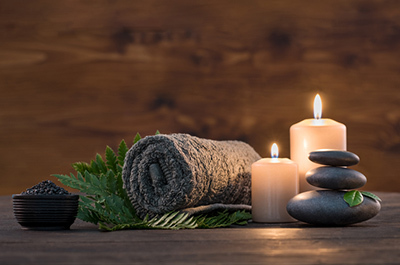 At a national level, the Massage Envy brand is committed to an ongoing focus on the self-care and safety of massage therapists in Massage Envy franchised locations so they can keep doing all the good they do. But we believe that a rising tide lifts all boats. As the largest collective employer of massage therapists, Massage Envy franchisees are investing in research to help massage therapists improve the quality and length of their careers, no matter where they practice. This year, Massage Envy franchisees are donating to the Massage Therapy Foundation to support research that benefits this vitally important profession so that, together, they are all giving back to the profession that gives so much to so many. If you're interested in learning more about a career with Massage Envy, visit https://jobs.massageenvy.com.